One of the serious consequences or side effects of losing a tooth is the jaw bone erodes over time. In the lower jaw, bone melts away and develops into a curved area where the tooth once was. In the upper jaw, bone loss occurs from both sides of where the tooth was, the top area called the crest, and the bottom area which is the floor of the sinus. Sometimes, a patient comes into my office in so much pain that the only thing they want is for me to extract their tooth. It’s hard to evaluate your options clearly if you’re in severe pain. There are lots of consequences of having a tooth extracted, leaving you with a space. Night guards, also known as bite splints, are acrylic appliances that protect your teeth from wearing down while you sleep. But why would patients get a bite guard custom made from their dentist when they can pickup a generic one from the local drug store? Dentistry is changing, and fast! There are lot of brand new dental technologies being brought in to the modern dental office. Like most other emerging technologies, dental work is going digital and 3D. Specifically, 3D printing. A lot has changed in dentistry, in just the past couple years even. One area that is quickly evolving is laboratory work. Traditionally, impressions are poured up in stone, making for a messy, contaminated, dusty lab area. One area that is changing the fastest is the incorporation of 3D printers into the dental laboratory. Did you know that snoring and sleep apnea can be treated at the dental office? Did you know that nearly 1 in 5 people have sleep apnea… AND THEY DON’T EVEN KNOW IT! 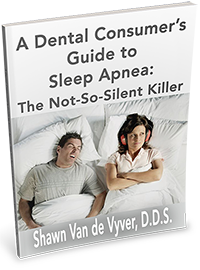 Find out more in my Consumer’s Guide to Sleep Apnea. 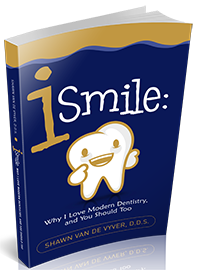 Find out why I LOVE modern dentistry, and you should too! This ain’t your Father’s dental office! Dentistry has changed so much, even only in the last 5 to 10 years. Find out why you should LOVE going to the dentist! CLICK HERE to get iSmile FREE! Welcome to Great Lakes Dentistry! We are a family-friendly practice dedicated to providing the highest quality care for you and your family in a comfortable environment. Led by our premier family and cosmetic dentist, Dr. Shawn Van de Vyver, we are excited to offer you and your family the latest treatments and services you need for a healthier, happier smile. Whether you are looking for a complete smile makeover or just need to visit us for a routine teeth cleaning and dental exam, we can meet all of your dental needs and exceeded your expectations of a dentist. Located in Shelby Township, Michigan, our office is proud to build a legacy of offering excellent dentistry in a caring, compassionate environment. Our gentle dentist and dental team look forward to serving all of our family, friends, and neighbors in our community, as well as the surrounding towns of Utica, Macomb, Rochester, and Washington, Michigan. 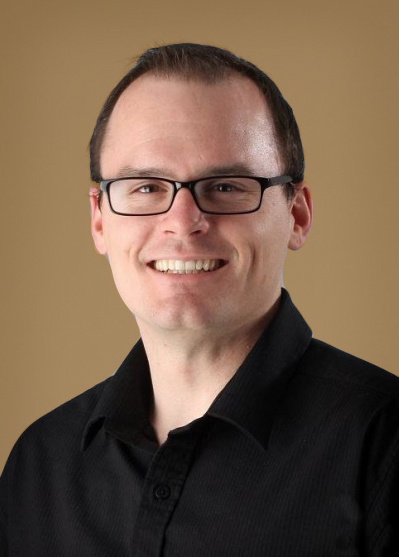 Dr. Van de Vyver and his friendly team are always happy to welcome new patients, and we hope you and your family will give us a call if you are interested in learning more about how we can transform both the health and beauty of your smile. We look forward to helping you achieve a smile you can be excited to share! I started Great Lakes Dentistry Shelby in 2015, expanding from our home base of Royal Oak, just up the road. Our current Royal Oak location just wasn’t enough to serve all our patients, so I opened our second location in Shelby Township, Michigan. We’re now able to serve the communities of Shelby Township, Washington, Utica, Sterling Heights, Macomb, and Rochester, MI. Our goal is to provide all the services you need for maintaining great oral health all under one roof. We will make sure all your needs are met and you receive the best dental care available today, in a comfortable, compassionate, and caring environment. That’s our mantra at Great Lakes Dentistry in Shelby Twp., MI. My aim is to deliver the latest and greatest technology, in a warm, comfortable, and inviting environment, with classic customer service you’ve grown to love yet seems absent in our frenzied lives. We go out of our way to make sure you have a great experience at Great Lakes Dentistry. We want to be your Shelby Township dentist. It’s my philosophy that the best patients are the best educated patients. So we spend a lot of time explaining our procedures and treatment recommendations. You won’t get any high pressure sales in our office, you’re ALWAYS in the driver’s seat. Of course, we’ll educate you and show you how dental implants, teeth whitening, Invisalign or Six Month Smiles braces, or a same-day Cerec crown will improve your smile, but the decision is always yours. All digital x-rays: 1/3 the radiation dosage of traditional film x-rays- even digital panoramic x-rays that go around your head. Cerec Omnicam: all porcelain crowns are made right in the office, in only an hour! 3D CAD/CAM computer aided dentistry at its finest! No more temporary crowns, no second appointment, and no goopy impressions! Laser Dentistry: Get your teeth cleaned with a laser and remove BILLIONS of bacteria. And no more cutting or sutures! Metal-free: We only use modern tooth colored composite fillings. We never place metal mercury amalgam fillings. 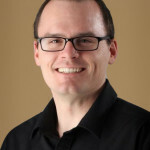 Dr. Shawn Van de Vyver is your Shelby Twp., MI dental implant expert. Why would you bounce around from unfamiliar office to unfamiliar office dealing with staff and healthcare providers who don’t know you, as a patient? Modern dental practitioners are able to perform many procedures that were once only performed at specialty offices. At Great Lakes Dentistry in Shelby Township, MI, Dr. Shawn Van de Vyver is able to provide dental implant surgery and restore your smile with an implant crown, all under one roof at the same, convenient location. 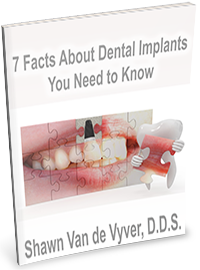 Dr. Van de Vyver is a member of the International Dental Implant Association. The IDIA is an international group of implant clinicians who have taken extensive clinical education courses to be able to provide the latest treatment in dental implants. Our newest addition to our high tech office is cone beam computed tomography, or CBCT. With CBCT 3D x-ray images, we’re able to place implants with ease, perfectly, every time. The CBCT takes all the guesswork out of dental implant treatment. We’d love to answer any questions you have about dental implant treatment. Give us a call at (586) 677-2828 or email me personally at DrVan@SmileInMichigan.com or complete an appointment request online. See you in the office soon!